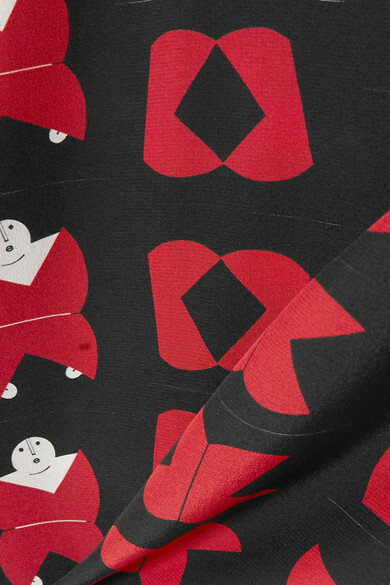 Albert Kriemler designed Akris' playful Spring '19 prints in collaboration with Romanian artist Geta Brătescu, who's known for her whimsical work. 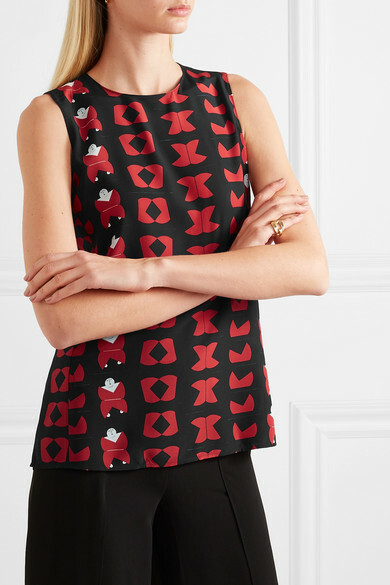 This top is cut from lightweight mulberry silk-crepe for a relaxed fit. It's patterned with geometric red motifs, repeating in vertical lines - one column even features abstract faces. Wear your tucked into high-rise pants. 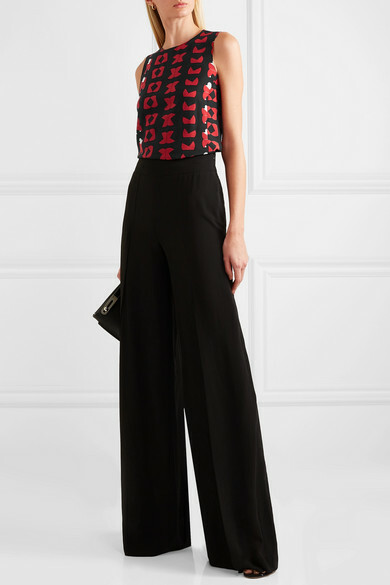 Shown here with: Akris Pants, Loewe Shoulder bag, Gianvito Rossi Sandals.